Many businesses have been expanding into foreign territory in the last few years, and a lot of companies have set their sights on Canada. It's a fantastic place to set out, especially for US businesses that don't have a great deal of experience when it comes to expansion. The economic landscape is strong and steady, the workers are skilled and knowledgeable, and the process—while not completely pain-free—is somewhat familiar to US citizens. 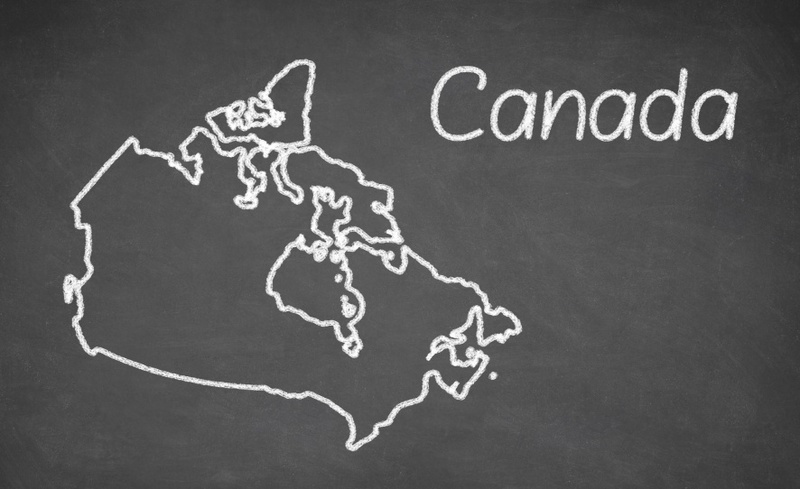 If you're considering expanding business into Canada, here's a bit of advice for you. First things first—you'll be in a brand new environment, and while some of the laws and regulations will seem familiar, it's critical to understand where the differences are and how it effects the way you do business. It's best to start researching federal laws when expanding business into Canada, since you'll be registering with federal authorities anyway. You can consult a legal expert who’ll help walk you through the various differences—and don't forget, some laws vary depending on the province you're in. Primarily, as a business, you'll want to be familiar with tax and employment laws, as well as health and safety codes and human rights policies. There's a lot to go through, but your research will be rewarded since it's much easier to expand when you know what to expect and how to operate in your new environment. You'll want to take the time to research the market and environment you're going to be in as well, looking into everything from a market entry strategy, to your competition, to the available talent in the area. This could effect the location you'll choose when expanding your business into Canada, so you'll want to be fairly familiar with the region when you begin to establish yourself. Because it can be challenging dealing with a new environment, you'll want to get a feel for the culture as well, as many things can effect your business, such as national or religious holidays, market rates for certain skill sets, accessible public transportation for employees, and other details of that nature. The more prepared you are going in, the smoother your transition will be. Once you feel confident expanding your business into Canada, plan in hand and goals in sight, it's time to talk to the Canadian Revenue Agency. Effectively, they're the federal authority when it comes to businesses and taxes (much like the IRS) and you'll need to register your business with them. This comes with a lot of paperwork and some careful consideration as to your official classifications, but once you're complete, you'll have a business number and can begin considering various program accounts you might need like payroll deductions, corporate income tax, or GST/HST. After this, you'll want to establish a banking infrastructure and make sure you have the appropriate accounts necessary. This can take weeks, or even months, depending on how complex your filings are. Expanding business into Canada can be frustrating for many companies, especially those who don't want to have to go through the trouble of registering all over again. Luckily, there's a simple solution. When you deal with an EOR (employer of record), you can skip certain procedures and get straight to focusing on your goals. An EOR is an already registered company that can act as the legal employer of your workers. Since they already have a Canadian presence, all they need to do is contract those employees to you—best of all, they'll handle all HR and payroll tasks associated with them, which saves you a great deal of time and money. They'll ensure compliance, file your taxes, and manage any and all applicable benefits. 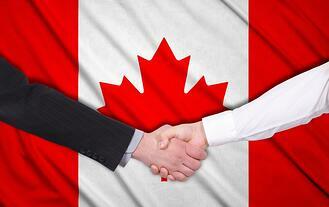 If you're expanding business into Canada, you'll want to talk to them. As 2016 is still just getting started, a lot of US companies have been making the decision to expand into Canada and it's clear why. With an educated and culturally similar backdrop, Canadians are hard workers, have tons of resources, and the laws, while different, are still largely familiar. This is also an especially good time for US businesses expanding into Canada, economically speaking. However, no matter how many benefits are extolled, there are still some roadblocks that certain US companies are unsure about. Namely, there are 3 major problems that can crop up, but with a bit of research and some assistance, we can help the roadblocks disappear. Whether your business is expanding into Canada or some other nation, there is almost always a registration requirement. This means creating a presence in the company you wish to expand within to, which (in Canada) means registering with the Canadian Revenue Agency in order to obtain a business number. Without a business number, you're unable to hire, fire, or operate within the country or pay necessary business taxes. The process of applying for a business number can be a trying one—there's a great deal of paperwork involved and depending on the complexity of the filing, it can take weeks or even months to become a reality. Once you've obtained your business number, you then have to set up tax accounts, as well as sign several agreements stating that you'll abide by various health and safety rules, human rights and employment laws, and more. You'll want to plan for extra time if you're on certain deadlines to ensure everything goes as smoothly as possible. As with any new land, there are a lot of new laws to consider. While many laws seem the same, US businesses expanding into Canada have found themselves perplexed with its many differences, some of which are rather pronounced. You'll want to make sure you're familiar with all the regulations and policies you'll be expected to follow, which means minimum wage laws, labour codes, employment regulations, and more. These laws can vary from province to province, and it's best to be familiar with them before you've set up shop. Consider that employee contracts and agreements will look different as well, since there are some everyday practices in the US that are generally not allowed in Canada. As we touched on above, legal compliance is one of the most difficult adjustments for companies expanding into Canada, especially those from the US. So many laws seem broadly familiar, but don't let that fool you; many of them are actually quite different or are treated much differently once they reach a court of law. A good example of this is a non-solicitation agreement, which is near impossible to enforce in Canada, but fairly routine in the US. Outside of just human rights and employment law, you'll be expected to follow Canadian tax laws and other business regulations like environmental protections policies and more. This is why so many businesses expanding into Canada engage an EOR (an employer of record) before making their move. An EOR is an already established business with all the credentials and accounts required to operate in Canada. Not only are they legal experts, but can also hire employees and workers on your behalf and effectively contract them to you. What this means is you can skip business registration and a great deal of legal research—you can expand and begin working a great deal sooner. An EOR also specializes in payroll and human resources, taking care of all the background details for you, even going so far as filing your taxes with the CRA. So many of the roadblocks associated with expanding into Canada can be relieved by consulting with an EOR. 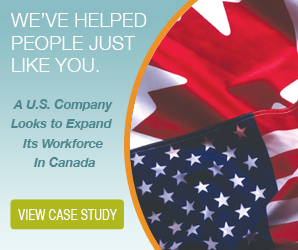 Thousands of businesses are looking to Canada for experienced employees, and for good reason. Canada's workforce is one of the most sought-after in the world, after all. Unfortunately, the rules and regulations surrounding Canadian employment are far different than they are in the U.S. or any other country. In order to make sure you cover all the bases, you absolutely need to invest in a Professional Employer Organization (PEO) service in Canada that understands the specific guidelines. An experienced PEO service in Canada will allow you to expand your workforce internationally without spending time and money decoding foreign employment compliance regulations. There are many unique aspects to Canadian law, and you need outsourced payroll services to keep up with these differences. Here are just three of the many crucial reasons to obtain an experienced PEO service in Canada. Save money with outsourced payroll solutions. Business owners who manage their payroll in-house are tasked with a multitude of responsibilities, such as totaling hours, performing gross-to-net calculations for each employee, calculating and depositing payroll taxes, and preparing tax returns accurately and on time. Simply put, there are more important things you could be doing for your business than dealing with paperwork—things that a PEO service in Canada can let you get to. There are many differences in rules and regulations between countries. Payroll and HR management in Canada is quite different than in the U.S. due to different laws and regulations. From taxation to payroll specifics, you need to account for these differences when hiring Canadian workers. The Canadian government regularly produces payroll deduction tables to help employers deduct the correct amount from each employee's paycheck. A PEO service will obtain this information and apply it to your Canadian workforce. A payroll processing company can also provide ongoing human resource support, professional guidance, and expertise when dealing with sensitive employment issues. 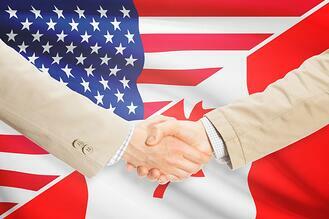 Although Canada and the U.S. are neighbors, there are several key differences between each culture. 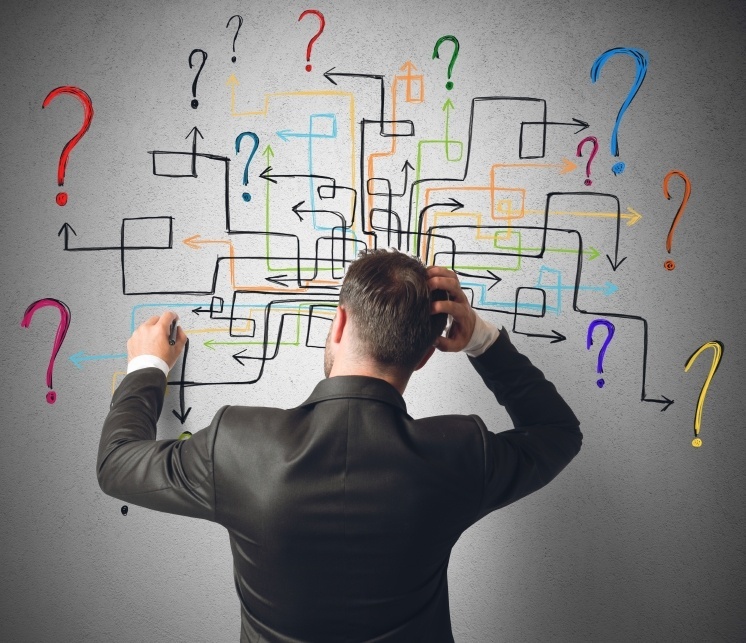 In order to best serve your employees and continue to grow your company, you need to let a PEO service in Canada handle these HR dilemmas. Expanding your workforce into Canada is truly one of the best things you can do to take your company to the next level. Be sure to obtain an experienced PEO service in Canada to account for all of these different laws and get the most out of your investment. It's 2016 – a new year for us both personally and professionally and now's the time a lot of companies have decided to take the leap and expand their business into Canada. And why not? Canada is a land full of resources, with a strong foundation and intelligent, skilled workers abound. Culturally, it's diverse but also familiar, and the citizens make up a massively untapped market, ripe with opportunity. That said, there seems to be something stopping more companies from taking the leap and it's no wonder that it often comes down to bureaucracy. Expansion is difficult, there's no doubt, but the rewards often outweigh the gain – and as for that difficulty? That's where a Canadian PEO comes in. No doubt the most difficult and anxiety-producing aspect of expanding a business is having to establish yourself in a new country. Even in the case of Canada, where laws seem familiar, you need to create an administrative presence, which amounts to registering for a business number, buying all appropriate insurance, hiring foreign employees from the area (and that comes with complications of its own, as you'll see below), and more. For many business owners who have already done this in their own country, it can seem like an irritating step and one they'd like to avoid if at all possible. Luckily, it is possible. When you partner with a Canadian PEO, you can skip that step altogether. A PEO is already well established in their country, already registered, and already insured. They have a full tax setup and as a recognized and official company, can hire whichever employees they want. This means you can simply use them as a go-between. Work with a PEO that will hire employees on your behalf and you can skip those steps and get the benefit of their vast experience in all things payroll, human resources, and law. Speaking of payroll expertise, I'm sure we're all well aware of just how much time and energy payroll can take up. That only becomes more complicated when you're paying employees from another country, even one you're expanding into. There's a question of what currency to pay them in, following the various labour laws related to pay cheques, managing deductions for government services you're not familiar with, and holiday pay for holidays you might not have even heard of. A Canadian PEO is first and foremost a payroll expert and it shows in the quality of their work. Not only do they act as the legal employer of your workers, but they also handle all payroll and human resources related duties as well. This means you don't have to worry about handling any of the payroll, just paying a flat fee to your PEO to ensure it all gets done. Legal intricacies dog just about every aspect of a business expansion, from registration to hiring to payroll and human resources – that's why so many businesses in the past have hired expensive lawyers to help them navigate those rocky waters. 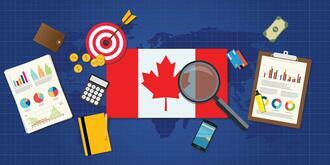 Perhaps the most valuable aspect of a Canadian PEO is their legal expertise. For those hoping to spend more time worrying about their operations and less time worrying about nuances in the law, this is where a PEO really shines. A Canadian PEO is not just well trained, but also familiar with just about every imaginable scenario – from the common situations to the rare and complicated ones – and can ensure you're fully protected in any case. You can keep yourself fully compliant without having to navigate thousands of new laws and regulations and ensure that your company, your employees and you are all treated fairly. When you have so much else to worry about, any concern that can be taken off your plate is welcome, so consider consulting with a Canadian PEO before you go ahead with your expansion. The year 2016 is a year of change for many people and many businesses as well – plans to expand are finally coming to fruition and Canada has been an incredibly popular destination. Not only are the people well educated and culturally similar to the United States, but also the cost of doing business is incredibly comparable and the workforce is reliable and hard working. It's no wonder so many companies have chosen to expand business into Canada. Naturally though, questions arise. With anything as large and important as an expansion, it's important to know where to begin and how to follow-through in order to make the move as seamless as possible. Luckily, we have some advice. Much like in any country, your first step begins with registration – specifically, registering with the Canadian Revenue Agency and obtaining a business number. Without a BN, you're not able to practise any sort of business in Canada – no hiring, no sales, no offices, etc. Once you have your business number, you'll have to begin setting up your tax accounts. You'll also need to sign several agreements stating that you will operate under the various health and safety policies applicable to the country and the province, as well as human rights laws that apply. Becoming fully registered can take as little as a few weeks, but can often be several months depending on the complexity of your filing and the size of your company. Be sure to plan for the extra time that is no doubt required so you don't miss any important deadlines. Once you're registered, you might think you're in the clear and ready to expand business into Canada, but you're not quite there yet. Naturally, you'll need to ensure you've set up the correct financial and banking infrastructure to ensure that your business accounts are in order before you open your doors. This will affect how you earn your money, how you pay your taxes, and how your employees get their pay cheques so it's a critical step and can't be missed. When you begin to hire, it's important to have some kind of human resource department, or at least experts familiar with legality before you begin to ensure you're up to code with various labour laws and practices. While a lot of Canadian laws might seem familiar, don't trick yourself into believing it's all the same – some laws are dramatically different and they can also change province to province. Since you've decided to expand business into Canada, you'll need to understand the laws and regulations you'll be dealing with. This includes worker classification, human rights law, labour and employment codes, tax law, and more. Even your contracts will differ in terms of wording and what can and can't be included in an employee agreement. 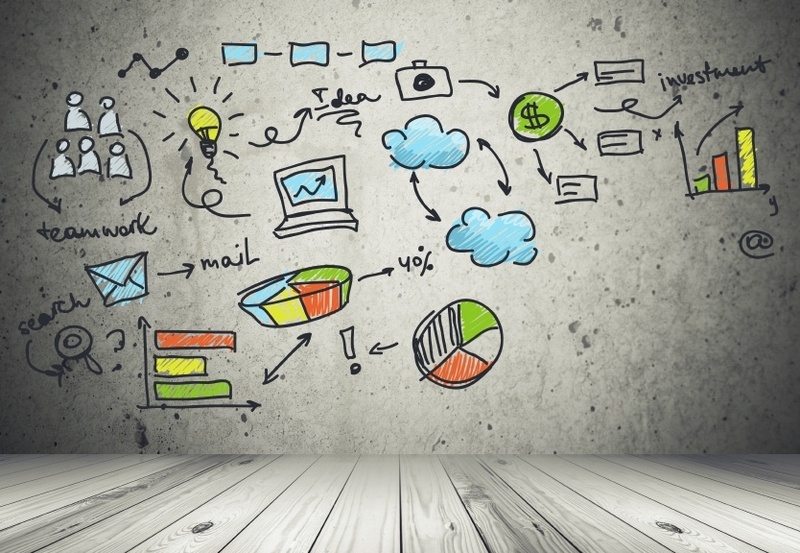 The closer you keep an eye on these issues, the more smoothly your business expansion will go. That all sounds like a lot of work, right? It truly is, and unfortunately that aspect alone has stopped a lot of businesses that were otherwise trying to expand business into Canada. 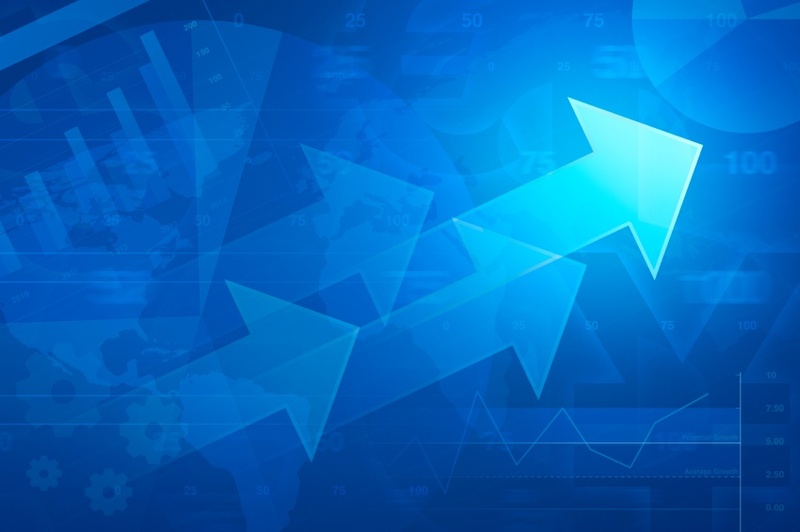 Thankfully, there is a much easier solution that is becoming increasingly popular for its effectiveness, regardless of where in the world you're based. When you partner with an employer of record (EOR), they act as the legal employer of your workers and they already have a Canadian presence. That means you don't have to register your business at all. You can just begin hiring through them and get started immediately. Since EORs are also legal experts, you can bypass administrative worries and legal concerns. They'll pay your employees, manage their benefits, and even pay your taxes for you to ensure ongoing compliance. Focus on your operations and leave the peripherals to the experts. It's becoming more popular than ever for foreign companies, especially those in the United States, to consider expanding into new territory. New markets and customer bases, exciting and fresh talent—there are numerous benefits all told. The Canadian market is an especially popular one as of late given its large, well educated and hard working population and its relatively similar cultural background, making it an ideal place for US companies to move into. That said, it's not always easy. There are a lot of hurdles in the way, largely bureaucratic, that have many companies hesitant to expand their workforce into Canada. Expansions are certainly never easy, regardless of where you're going, but it can be trickier when you're expanding into a new country altogether. Here are some of the biggest concerns foreign companies face when they decide to expand their workforce into Canada, and the solution. The first thing a foreign employer is expected to do is establish an administrative presence in Canada, and that means registering with the CRA (Canadian Revenue Agency) in order to obtain a business number. Nothing at all can be done before that, which is why it's the most critical step of the process. It involves a great deal of paperwork and time – from weeks to months, depending on the type of business, the area you're expanding into and other qualifications. Once you have your business number, you'll have to go about setting up your tax accounts, obtaining business insurance (a legal requirement in Canada), and finding the right banking infrastructure. This will sound familiar to most people who have registered a business in any country, but it's important to note that there are some differences in the process when it comes to Canada – differences that might occur even province to province. Be sure you pay close attention to the directions you're provided to avoid any costly mistakes. When expanding their workforce into Canada, many businesses forget that there are different labour codes and employment laws they need to pay close attention to – ones that apply provincially and federally. Like registering a business, a lot of these laws may seem familiar but others are dramatically different and that's where many businesses find themselves in over their head. It's important to ensure that you're well familiar with the codes, policies and laws that you'll be required to comply with before you jump in. Worker classification alone is a major issue in Canada, and one the CRA is sure to crack down on if even an unintentional mistake is made. Considering that knowledge of these laws is the difference between a well functioning business and one steeped in fines, levies or even jail time, you can be sure it's a major issue and one that makes a lot of companies nervous. It's for these reasons, and a great deal more, that so many companies have turned to EORs (employers of record) to smooth this process out for them. In order to avoid having to register their business and establish an administrative presence in another country, many who are looking to expand their workforce into Canada have an EOR act as the legal employer of their workers instead. Since an EOR is already established with all the appropriate insurance and infrastructure required, you can begin hiring workers immediately and begin operation as soon as possible without any bureaucratic concern. EORs are also well familiar with all the laws and regulations you'll be required to follow, can handle human resources tasks and payroll, which means you can leave your worry at the door and focus on the goals you've set for your business without any hindrance. 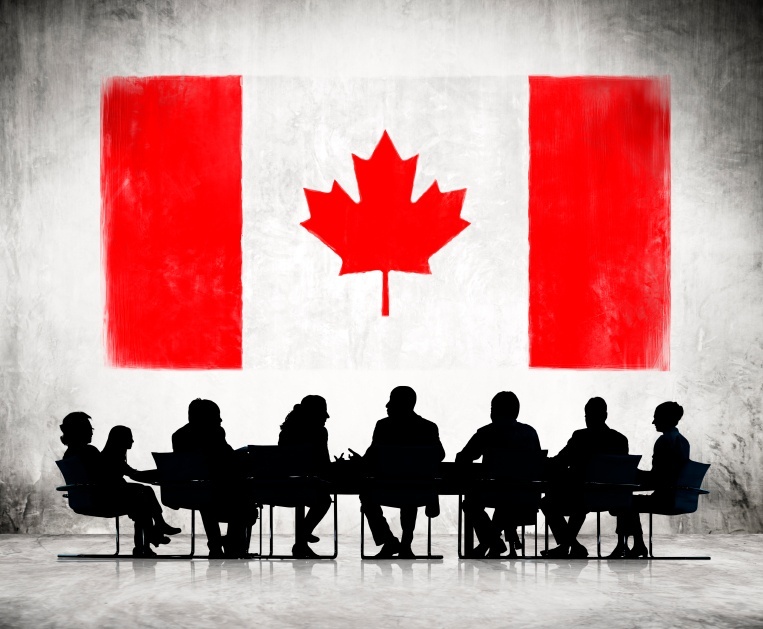 Business Expansion: Is a Canadian Administrative Presence Necessary? The business world is constantly changing and growing, especially on a global scale as more and more people expand their business. The benefits are great – more versatility in the market, the ability to explore new talent pools and client centers, larger brand recognition and a lot more. Even smaller companies have considered business expansion and due to this, many have started moving into Canada. Canada is regarded as a great place to expand into (especially for American businesses), largely due to its highly educated and skilled population and its relatively similar cultural backdrop. That said, like all business expansion, there are a lot of steps involved and this has left some businesses otherwise intimidated when it comes to getting started. Getting started in a new country always amounts to a great deal of work, but that effort is often offset by the gains. In Canada, things are no different. To begin with, all businesses must register federally with the Canadian Revenue Agency (CRA) and obtain a business number in order to operate and pay taxes. That mountain of paperwork often takes weeks or months to get through and can be dense with compliance laws that are unfamiliar to foreign companies. There's also a large variety of permits and licenses that come with operating most businesses, which can make business expansion seem exhausting – especially since you've already gone through these steps in your own country. You'll need to research everything that is required of you, both federally and provincially, before you continue the process – this might include special licenses for importing, for food, animals or plants; licenses for tobacco or fuel and more. It's important to ensure that your business expansion is completely compliant with any local regulations and laws as well. A lot of industry types are closely regulated, and often vary region to region, which can add another layer of work on top of what's already there – for example, day care centres and career training, agriculture and construction, food service and pharmaceuticals and so on. Once you've secured all the permits you need, you'll need to ensure you have appropriate insurance and infrastructure for your business, and that you're following all provincial and federal laws in consideration with the hiring and managing of employees. While many of these laws might be close to what you're used to, many of them aren't and you need to be careful to understand those differences in order to avoid fines or penalties that might be incurred. As you can see, business expansion isn't as simple as it might seem to some. 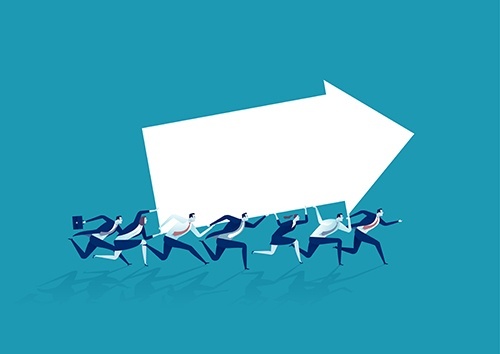 That's one of the reasons that more businesses than ever have begun turning to employers of record (EORs, often known as professional employer organizations in the US) in order to help them effectively and efficiently expand their operations. By now, you understand just how much paperwork and legal research needs to be done in order to establish yourself in Canada. An EOR is already registered and established, and come equipped with an expert knowledge of local laws, employment regulations and all other information necessary to get started. Basically, they're able to remove the administrative burden from your shoulders and let you focus solely on operations. By partnering with an EOR, you can expedite your business expansion by making them the official employer of your workers, wherein they subcontract them to you. This also means they'll handle payroll processing, human resources and all legal compliance matters regarding taxes and labour law for a set fee, which saves you a massive amount of time and money. More businesses than ever are considering workforce expansion into Canada, largely because of its talented workers and familiar business landscape. There's a high standard of education, competitive rate of pay, a wealth of natural resources and fair business laws to boot – it's an excellent place to move forward, whether it's to explore a wider field of talent, to solidify your place in the global market or both. That said, business expansion has never been as simple as we want it to be, and workforce expansion into Canada is no exception to that rule. Despite being an excellent opportunity, many companies shy away because the process, if spelled out anywhere, seems complicated and overwhelming. The fact is though it really boils down to a few simple points and the help of a good PEO partner. Even if you're only moving in with a couple of employees to begin with, you'll need to register – even if you're already an established business in the United States. That means securing a business number (a BN), registering a payroll account with the CRA (Canadian Revenue Agency) and setting up tax filings and remittances as well. 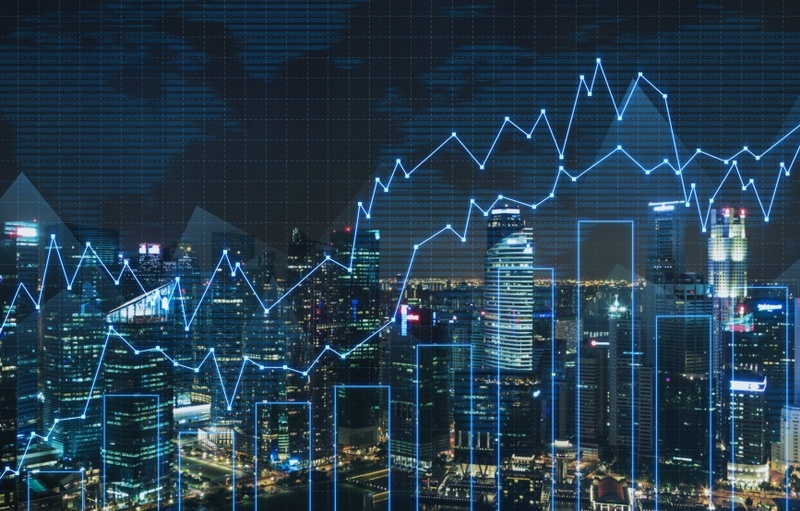 Generally, you'll want to make sure you have all the infrastructure necessary to make this as smooth a process as possible – including both insurance and banking infrastructure. This process can sometimes take months, but needs to be done before you can start hiring and operating within Canada. Workforce expansion into Canada becomes more difficult when you consider all the legal differences and labour laws that need to be observed. You'll begin to notice as you research that many of these laws vary province to province and affect how your employees are paid, how often and how much – that can make navigation of Canadian law a real challenge, but it's all required. This can also affect employment standards and business practices and need to be observed in order to keep your business compliant and keep your employees happy. Some businesses hire legal experts or whole departments in order to ensure they're fully legal. Speaking of employees, workforce expansion into Canada requires that you properly classify your employees according to the CRA's rigid standards. As of late, they've been cracking down on misclassification – whether accidental or not – and this will affect how you do business. If you classify an employee as a temporary independent contractor in order to avoid taxes, you're not only breaking the law, but you can be expected to pay costly fines and penalties on top of that. It can seriously affect your reputation in your new country of operation and it's definitely something to avoid. Be sure to properly understand the differences between the worker types and ensure that you classify them all appropriately as you move forth with your expansion. Luckily, there is a more seamless way to accomplish not just these points, but also your whole workforce expansion into Canada. A PEO (or professional employer organization) is a third party business that specializes in helping companies like yours expand into new markets without worrying about all the set up. If you decide to engage their services, they'll act on your behalf as employers in Canada – meaning they'll hire the employees you want and sub-contract them to you, which means you're not on the hook for classification, payroll concerns or any labour laws that are related; they are. Because they're experts in Canadian employment law, they can ensure that you remain 100% compliant and best of all, because they can hire on your behalf, you can skip the entire business registration process altogether. Consider the amount of time, money and resources saved when you roll legal, human resources and payroll into one singular organization. Consider talking to a PEO for your expansion needs. Canada is becoming a popular destination for business expansion, in no small part due to the familiarity of the business and cultural landscape. Canadians are known for hard work, a high standard of education and a competitive rate of pay so it's an excellent place to consider when you expand your business. Seeking out skilled workers in a new area always comes with challenges, but those challenges are always balanced out with great rewards as you explore a wider field of talent and solidify your place in a global market. When you begin to expand your business however, there are a lot of things to consider and that can make a lot of companies shy away from what is otherwise an excellent strategy. Luckily, a great deal of information is available in that regard and there are also experts who can help ensure everything goes according to plan. Here are a few things to know. It takes time to expand your business, and when you venture into a new country, you'll need to register yourself and get established in some form. This includes appropriate insurance, infrastructure, ensuring you meet remittance deadlines and more. You'll need to research laws and regulations to ensure you're fully compliant with Canadian business law before you even begin recruitment, which in itself requires a great deal of paperwork. Even with only one or two employees, you'll want to ensure you have a BN (business number), which will then lead you to registering a payroll account with the Canadian Revenue Agency. You'll also have to make sure that your employees are classified the right way according to Canadian labour laws – for example, a contractor may be seen by the CRA as an official employee and that could land you in some trouble if not dealt with appropriately beforehand. As you expand your business into Canada, you'll begin to notice that some laws vary province to province, while others remain rigid, as they are federal regulations. These types of laws usually affect employment standards, which moves into the territory of hours of work, amount of pay, overtime, minimum wage and myriad other factors. Be sure you know the exact standards in the area you're expanding too, as mistakes can lead to costly fines and penalties. Sounds overwhelming? Luckily, there's help. Here's where the “seamless” aspect comes in. An EOR (employer of record) is happy to help you expand your business and in a way that takes all the legal pressure off of you. Effectively, you can minimize your risk while expanding if you consider the services of an EOR, who will act on your behalf when it comes to dealing with Canadian laws and regulations. Since they would act as the official employers of your workers, no registration on your part is required, which can be an incredible relief to many and no doubt expedites the expansion process a great deal. As your partners, they will become your expert legal team. Fully versed in Canadian laws and regulations, they can ensure that everything you do remains 100% compliant and legal, helping you dodge any liability that comes with making small mistakes. They'll worry about all the details when it comes to dealing with your employees, much like a self-sufficient human resources department. This not only means full legal expertise at your disposal, but it means they'll handle employee payroll according to provincial and federal law, ensure that you're meeting employment standards, file payroll remittances and annual taxes appropriately and on time. When you expand your business in a strategic way, you'd be remiss not to partner with an EOR – not just for peace of mind, but so you can focus all your efforts on your business goals instead.